Digi-cards download cards and Digi-codes download codes have thousands of applications, most of them marketing/advertising as well as multimedia distribution, how about recruiting?. 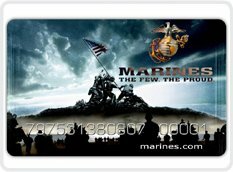 Based on the high redemption rate that our download cards give our clients this was bound to happen, from recruiting university hopeful students to even military candidates. Digi-cards download cards have placed themselves as one of the most innovative en versatile products for marketing in the last few years, their ROI (Return on investment) is the best of any other marketing or multimedia/e-file distribution physical product and the options for information and data gathering are huge. CEO Gerardo Alton-Ortega a former U.S. marine remembers all the recruiting catalogs, flyers, posters and merchandising he got in college and as he simple put it "Now I would rather get only one Digi-card with all the information necessary and all the goodies and perks on it" sounds like a plan doesn't it? For more information on Digi-cards download cards and all of its possibilities visit www.digi-cards.com or www.download-cards.com. Digi-cards download cards and Digi-codes download codes in another industry first will offer augmented reality to their products as an add-on. With this virtual reality offering Digi-cards and Digi-codes again separate themselves from the rest by being the most innovative company in the download cards and codes industry. "We never stop developing tools to benefit our clients and end users, and we believe that we continue to offer the best product worldwide and with the highest satisfaction" said Gerardo Alton-Ortega (CEO) during the launch of this new technology. 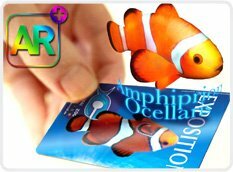 "Augmented reality has been out there for a few years and we think is the perfect add on to our products, now end users will be able to get a preview of what is to come in their Digi-cards or Digi-codes by just looking at them through smartphones or tablets, I think is one of the coolest things we have developed to date". This technology will be available for free for a limited time during launch and will also be available to current clients if requested at an additional fee. New cards and codes will have the AR+ logo to identify this new feature and most end users already have the apps on their mobile devices or will be able to download them for free from our sites and clients landing pages. Digi-cards download cards and Digi-codes download codes are the world industry leaders in their fields for more information visit www.vitaldigitalglobal.com the parent company. Digi-cards download cards and Digi-codes download codes again will be present when mainstream artists distribute their contents during the 2015 entertainment and interactive events season. 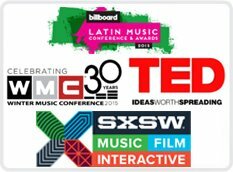 Both Digi-cards and Digi-codes will be distributed during the 2015 South by Southwest Music, Film and Interactive Congress also known as SXSW as well as TED, Winter Music Conference WMC and Billboard Latin Conference. Some of this events have seen the birth of Digi-cards download cards from a humble start to a mainstream mode of multimedia distribution. Again this year upper end artists and participants will be marketing and distributing their multimedia contents through the leading producer of download cards in the world. 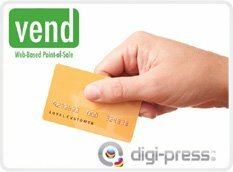 Digi-cards are not only download cards, they are the preferred cards of professionals. For more information please visit: www.digi-cards.com or www.download-cards.com or www.digi-codes.com or Call +1 305 600 2028. 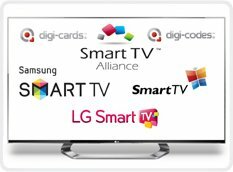 Digi-cards download cards and Digi-codes download codes are now fully compatible with most Smart TVs in the world. The global population will now be able to enjoy Digi-cards & Digi-codes on Personal Computers (PC), Mobile devices and Smart TVs which add up to more than 2 billion around the world. It is estimated than more than 200 million Smart TVs have been sold and are now available around the world, this opens up a new market for Digi-cards and Digi-codes. "The possibilities are endless" said Gerardo Alton Ortega CEO of Vital Digital Global the parent company "We continue to develop and form alliances that will allow our products to be available in most devices and products as long as there is Internet, and trust me that one day the whole planet will have access to it, we have no doubt that this will open opportunities for our products to be used to distribute education, culture and entertainment around the world". More smart TVs are sold now in the United States than any others, multimedia content, specially visual is available now through Digi-cards download cards and Digi-codes download codes. Digi-cards is the leader manufacturer of multimedia content download cards in the world. For more information visit www.digi-cards.com , www.download-cards.com or www.digi-codes.com.